Because life is just better together. EQ is short for “emotional quotient.” People with high EQ are emotionally intelligent and mature. While you cannot grow your IQ – your innate intelligence—you can grow your EQ, and the Bible urges us to do so by seeking wisdom. In this study, you’ll learn what EQ is, what specific character traits you can cultivate in order to grow your EQ, and how EQ is connected to spiritual growth. Through video teaching and small-group discussion, you’ll come to understand and better manage your powerful God-given emotions. You will grow in wisdom. “Deborah Buckingham’s Bible Studies are refreshingly practical and inspirational guides to the fundamental truths of God’s Word. Her engaging warmth and encouraging teaching style focuses on a deeper relationship with a loving Father, and taking your faith into the world. "In the past, I have attended Bible studies that left me feeling no different than I did when it started. I can honestly say that Deborah Buckingham’s studies have been the most informative and uplifting lessons I have ever attended. 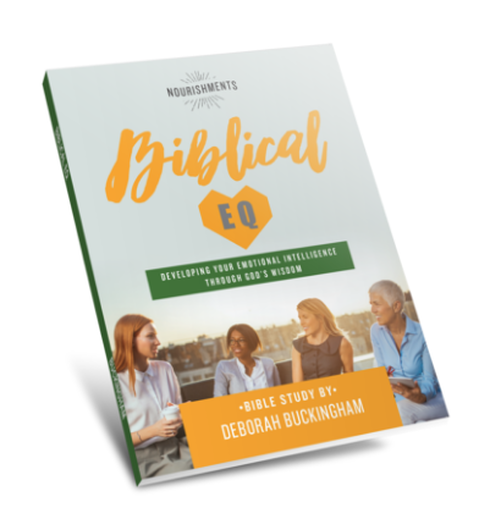 I will leave each week hungry for more and looking forward to the next study.​"
"Deborah Buckingham’s studies have so beautifully met each one of our ladies ~ bringing them into a deeper more intimate relationship with Jesus. Falling in love with Him and loving others has been life changing ~ teaching us to hold onto His truths ~ setting us free! 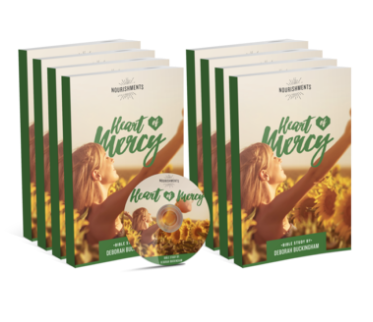 ​"
"This Bible Study is by far the most in depth study I have ever done on mercy. Not only did I learn about the concept of mercy but also the Biblical truths and Scripture to dig into. Deborah's teaching style is easy to follow and very engaging. If you have ever had questions about mercy, this is the best out there!" "Deborah Buckingham's study The Heart of Wisdom was inspiring, invigorating and revealing for such a time as this. Deborah brings to light the necessity and value of emotional intelligence for believers in our walk to be the person God created us to be. As believers, Deborah teaches us we can’t be spiritually healthy and mature if we remain emotionally immature." "Living a life of Mercy is not a topic that is easy to find for a Bible study and realistically, not a topic most people want to study. 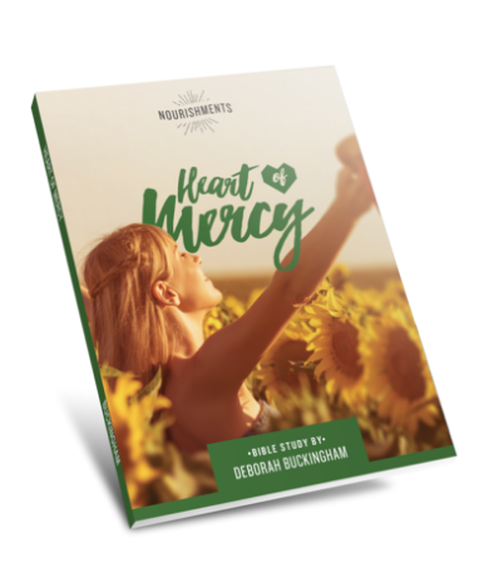 However, Deborah Buckingham’s “Nourishments of Mercy” bible study caught and kept our group’s interest from Day 1 until the end of the study. This study leads you through the concepts of mercy, forgiveness, reproof, and love in a way that draws you into the heart of God to have a deeper understanding of Yahweh’s character in how He relates to us and also how He wants us to relate to others. After finishing this study our group was asking “when is Deborah’s next study available?" "Biblical EQ is not your normal bible study. With a fresh approach to studying the Bible, this study delivers what it offers: Developing your emotional intelligence through God’s wisdom. Deborah uses Scripture and personal experience to lead you through a rarely taught concept of Christians relating to others with a Spirit infused emotional maturity. This is a practical and inspirational study to deepen your relationship with The One True God and enhance your relationship with others."